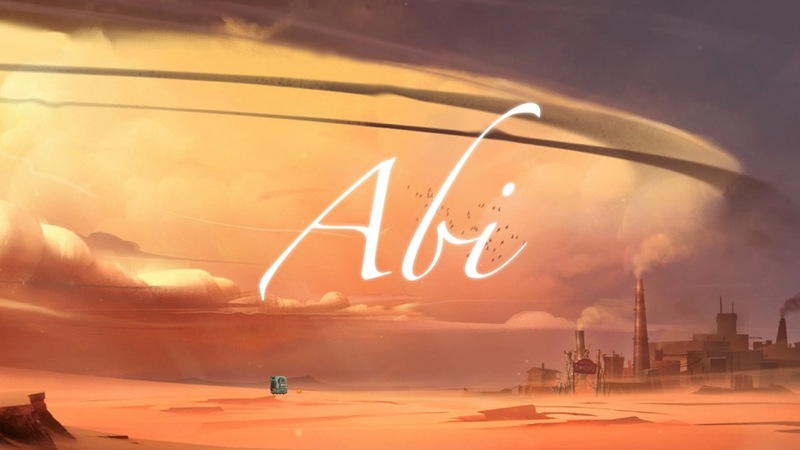 At first glance, Abi: A Robot’s Tale appears to be something truly special, a point-and-click adventure with standout artwork and two lovable robots exploring a world void of humans. 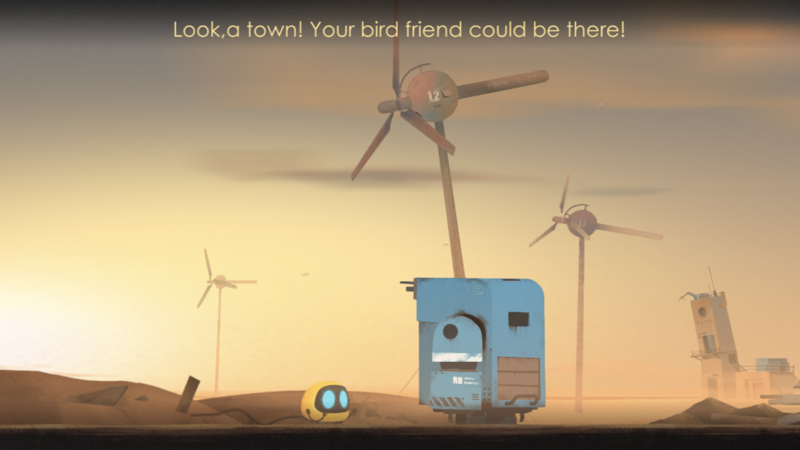 You might even get a Wall-E vibe from it, and you wouldn’t be far off. Abi, a small helpful robot that used to be a nanny of sorts, is cute and cuddly and hard not to like. He’s accompanied by a larger, mute industrial robot named DD who does all the heavy lifting for the pair. It sounds like all the makings of a great game. Unfortunately, it stumbles often in its execution and ends prematurely. The two robots are on a journey to find DD’s friend, a white bird, while also trying to figure out what happened to all the humans. You can ask every robot you pass, though most won’t be all that helpful. 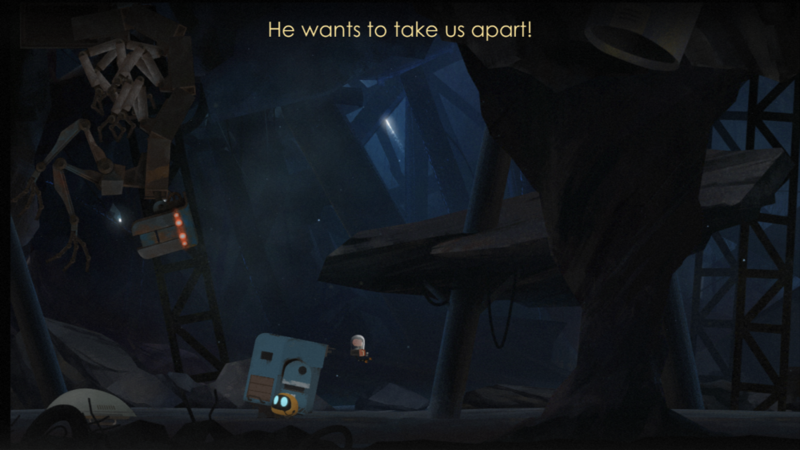 Along the way, you’ll have to solve puzzles to make progress. This often involves switching between the two characters by tapping on their faces in the upper left corner. You can also have Abi jump on DD’s head if he needs to reach up higher. Usually DD is needed to clear away heavy debris that Abi can’t lift, but a more complex puzzle would have the two splitting up and doing different things. For example, early on there’s a seesaw, and you need to have DD jump on one side to send Abi soaring. But first DD needs some help from Abi to get to a higher altitude for jumping. These types of puzzles are the game’s strongest, but later they start to get tedious. First, let’s talk about some small issues. On booting up the game, I noticed first that it’s stuck with the Home button on the right, while I prefer mine on the left. It’s not the first game to lock orientation, so I made do. It’s not the end of the world. Unfortunately, the game also doesn’t fill the screen on the iPad. Again, not the end of the world, but it is a shame that it doesn’t take advantage of it with that gorgeous artwork. And the third thing I noticed right off the bat is that dialogue pops up at the very top of the screen while the action is happening at the bottom. It’s an awkward way to read while playing. It also goes by quickly, so early on I was missing some of the story. What’s even stranger is that when you’re playing, usually the dialogue is told through speech bubbles, which felt much more natural to read. But once in a while the dialogue would be at the top of the screen and I couldn’t even see any rhyme or reason for it happening. Still, it’s a small enough issue to ignore if everything else had been fine. But everything else was not fine. Abi can only carry one item at a time. The way it works is you tap a little gear icon when you get close to an item and he’ll pick it up. But if he’s already carrying something, he’ll drop the first item. So if there are two items available and you’re not sure what you need them for yet, you have to guess and hope you’re right, then come back for the other one later. Abi and DD also move slowly, so backtracking becomes a real chore. For instance, around the middle of the game, you’ll find a room where there are two items that work together. But you need to get both of them out of there so you can use them elsewhere. To get to the room from the main area, you have to climb down a ladder and head through a door. Then you need to go back through that door and climb up that same ladder just to get back to where you were. Once there, DD has to move a platform so Abi can climb up on it. Then DD has to move it back to the other side. Then Abi climbs up another ladder and through another door to a room where it’s very vague what you’re supposed to do. If you manage to figure it out right away and don’t have to waste any extra time on it, you still have to do that whole thing over again to get the second item from that room. And then do it a third time. Considering how short the game is, I’m guessing that this busywork was added to make it seem longer than it actually is. But instead it just creates a whole lot of tedium. At this point, I was getting annoyed with the game and losing interest, despite the fantastic artwork and atmosphere. And it’s a shame, because the puzzle itself would have been rather enjoyable if things had been set up differently. On top of it all, the way you interact with things is a bit clumsy. Sometimes I’d tap on a gear icon to activate a switch but nothing would happen until I try a second or third time. And interactive options can sometimes be too close to each other, causing you to accidentally choose the wrong one. 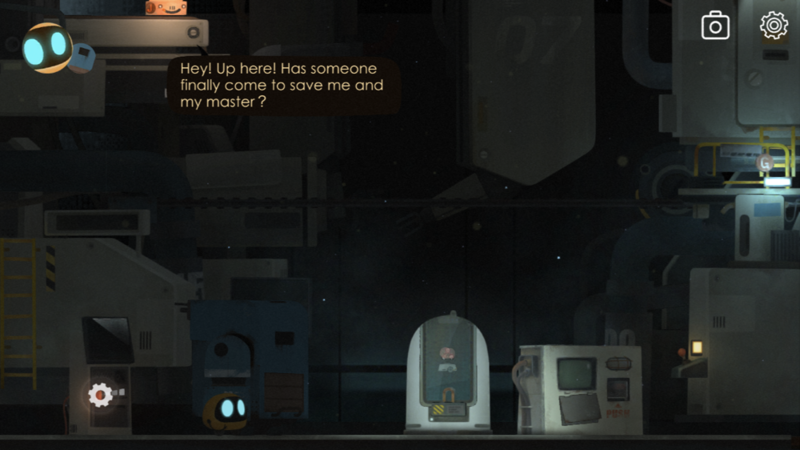 Dialogue is also odd, because it’s unclear when a robot is out of things to say. You have to keep tapping on the speech bubble icon to see if they have anything new to share. I would have preferred more fluid dialogue that didn’t need constant prompting from me just to get one more line out of a robot. While I was very interested in the story and the characters — especially as a talking human brain joins the group — the final chapter throws out almost all puzzles and becomes all about outrunning a creepy-looking centipede-like robot called the Collector. I wanted so much to enjoy this chapter, as the character both looks great and has an interesting backstory. But it goes pretty much from one section of avoiding rocks he’s throwing at you to running away from him by tapping as fast as you can. It no longer felt like a point-and-click adventure and I got tired of seeing the “Try Again” screen every time I failed. I was almost relieved when the game ended after only three proper chapters. I wouldn’t have even minded a short game for the three bucks I spent. 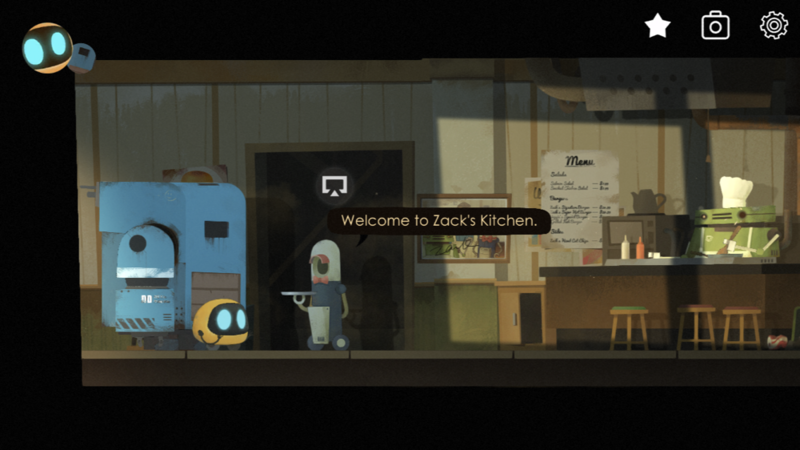 I’ve played and enjoyed small but special games that I didn’t regret buying one bit. But Abi builds up this grand story about the Metropolis where all the people have gone, and then we never get to even see it. The credits roll without even a “To Be Continued,” so we’re left with a journey but no destination that we were promised. No reuniting with the white bird. 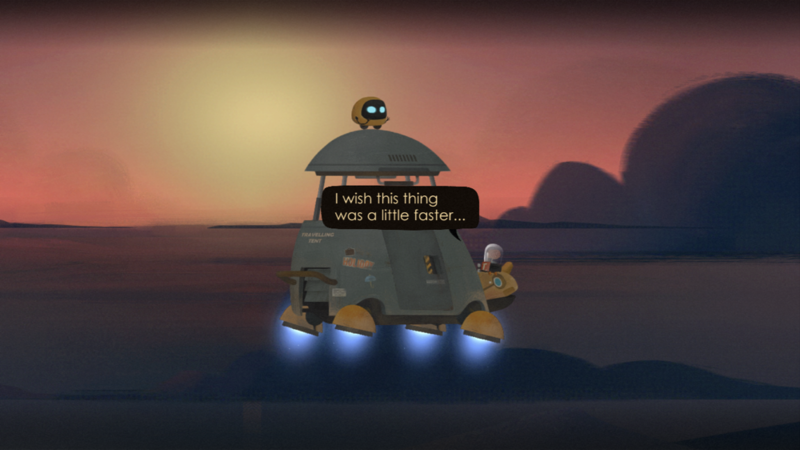 And that journey was light on puzzles and heavy on tedious backtracking. For your money and your time, there are far better games to get. I do hope Abi gets some content updates and improvements to make it more enjoyable. But until then, I wouldn’t really recommend it. If you still want to play it, you can grab it here. And if you’re playing and get stuck, try my walkthrough guide.